Take a moment. Take some time. To listen to Irish music. Because Irish music is not only music. It’s a feeling, a way of life. When we came to Ireland for the first time we expected to learn Irish music from books in as little time as possible. But that was an illusion. You have to take your time. Time to play it by ear and from your heart. 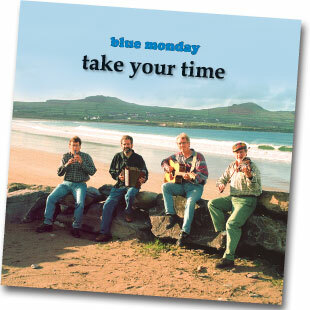 To feel the sense of the traditional songs and the swing of jigs and reels. To play with a touch of melancholy, sweetness and spirit. To play music the Irish way. Take a moment. Take your time. De CD is te bestellen door € 10.00 (inclusief verzendkosten binnen Nederland) over te maken op IBAN NL13RABO0375323473 t.n.v. C.M.M. Jansen, onder vermelding van het afleveradres.